The Holiday season seems to be flooding with great gadget sale promotions. 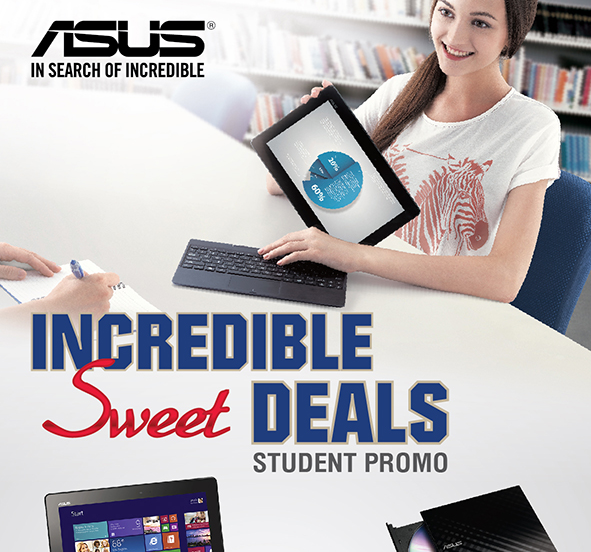 The latest brand to offer a sale is ASUS, which is offering promo bundles for the ROG G750 and Transformer Book T200. 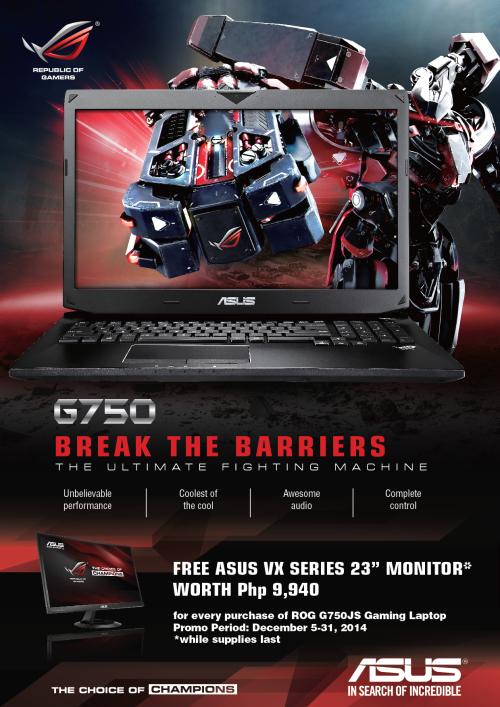 A purchase of a G750 gaming notebook now comes with free ASUS VX Series 23” monitor worth P9,940. 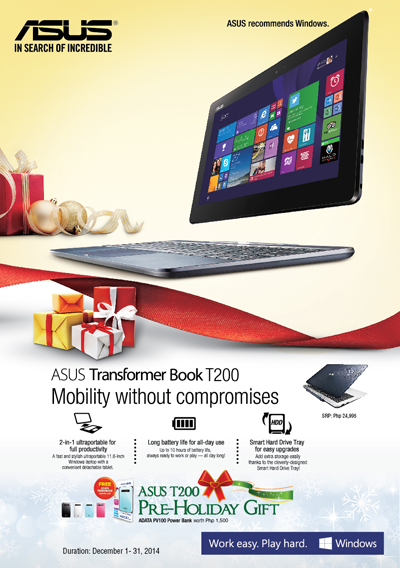 While a purchase of the Transformer Book T200 is now bundled with a free ADATA 5200 mAh powerbank worth P1500. The latest G750 model features a 17.3” Anti-Glare Full HD Display panel, 4th-generation Intel® Core™ i7-4700HQ processor and the brand-new enthusiast-level NVIDIA®GeForce® GTX 870M Series GPUs, and include exclusive ASUS TurboMaster GPU-overclocking technology to deliver desktop-grade gaming performance. With its awesome looks and components that are designed with the needs of serious gamers in mind, the G750JS sets the standard for amazing portable gaming performance. TurboMaster is bundled with a version of the GPU Tweak utility that’s specifically designed for the new G-Series notebooks. GPU Tweak makes GPU overclocking easy and uses parameters that ensure long-term stability, even during extended overclocking experiments. G750JS SRP is Php99,995. 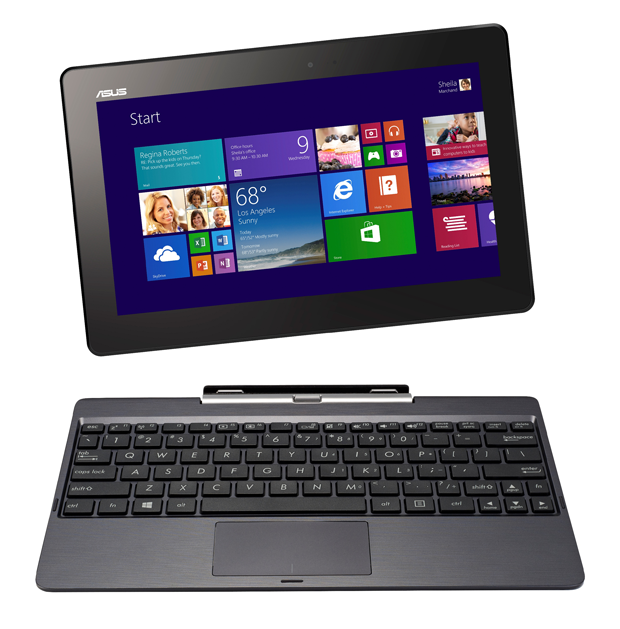 The ASUS Transformer Book T200 is an the 11-inch Windows 8.1 tablet/notebook hybrid device that is powered by new Z3775 Intel quad core processor and upgradeable to 1TB of HDD. The tablet includes a micro SD, micro USB and micro HDMI ports — this latter port allows the T200 to be connected to a large-screen monitor or TV to watch videos and movies in Full HD resolution. Additionally, the keyboard dock includes SuperSpeed USB 3.0, USB 2.0 and network (LAN) ports to complete T200’s desktop-grade I/O capabilities. The extra-large multi-touch touchpad supports Smart Gestures, allowing users to operate T200 comfortably and easily without a mouse. T200 also includes dual HD cameras — a front 5-megapixel camera and a rear 1.2-megapixel camera — for perfect snaps, videos and selfies. 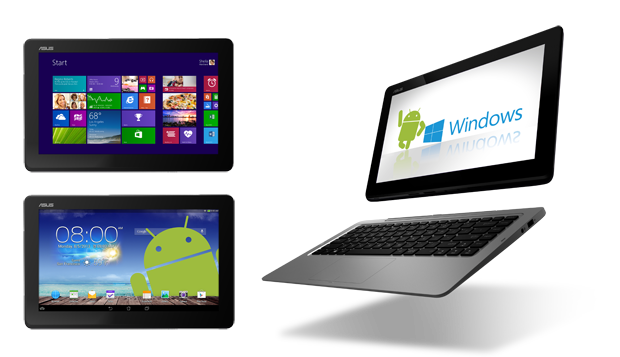 Transformer Book T200 SRP is Php 24,995. 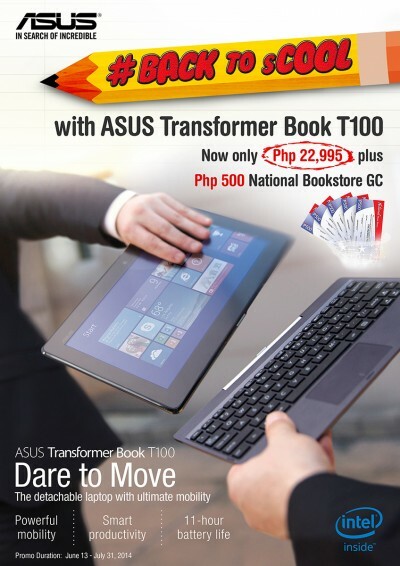 The ROG G750 bundle is for NCR areas only while the Transformer Book T200 bundle is available nationwide in all ASUS authorized re-sellers.